ASUU STRIKE UPDATE: 9 popular universities have not joined the ASUU strike |Universities that are not on strike. 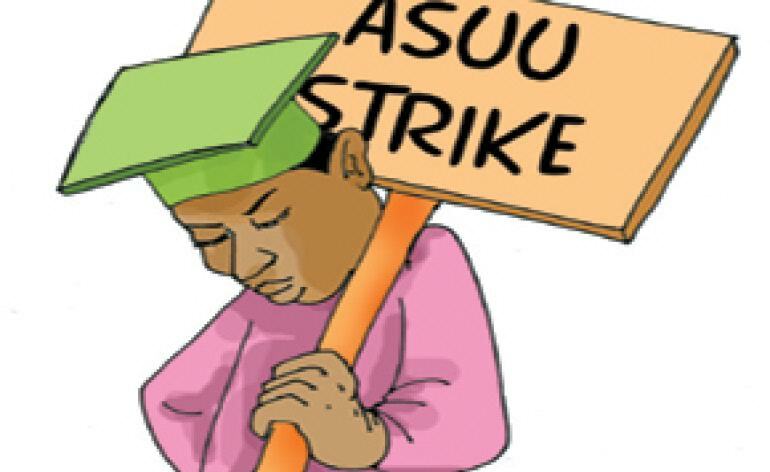 The Academic Staff Union of Universities, ASUU, declared a nationwide indefinite strike on Monday. All schools under ASUU are expected to stop all forms of academic activities including teaching, attending meetings, conduct and supervision of examination and others. 1. Obafemi Awolowo University, OAU have and will not join the strike according to announcement from the school. 2. University of Ilorin, UNILORIN have also failed to joined to the strike and will not join. 3. University of Lagos, UNILAG have not joined the strike but authorities at the University of Lagos announced that the school will comply from Wednesday(16/08/2017). 4. The Lagos State University, LASU is currently on a lecture-free week pending examinations. Authorities say they’ll comply as soon as possible. 5. University of Benin, UNIBEN is not on strike but also expected to join the strike on Wednesday(16/08/17). 6. Ambrose Ali University, AAU will also join the strike on Wednesday(16/08/17). 7. University of Abuja, UNIABUJA is to join on Wednesday.(16/08/17). 8. Ebonyi State University (EBSU) said it will hold a congress to decide whether to comply or not. 9. Usmanu Danfodiyo University, Sokoto is to make a decision on Wednesday. From these 9 universities that have failed to join the ASUU strike, 2 of them are not willing to join, 5 of them will join as soon as possible while the remaining 2 will decide whether to join or not.